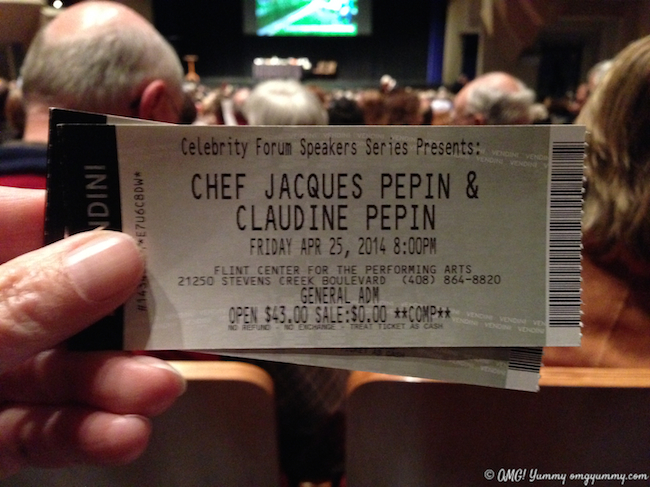 I spent Friday evening April 25 with Jacques Pépin and his daughter Claudine. Ok, not just me. Me and 2400 others. But we were in the same room for 1.5 hours. This is fact. I will be forever grateful to a neighborhood friend who offered these tickets to me just hours before the master chef took the stage. 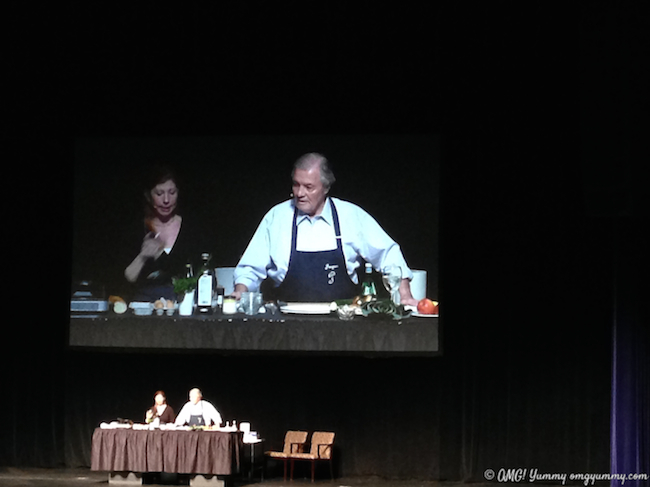 As part of a lecture series at De Anza College’s Flint Center, Jacques and Claudine appeared together, with Jacques demonstrating key cooking techniques that form the basis of any cook or chef’s skill set, while Claudine played his straight person, wine refresher and adept assistant. Then they both sat down and answered questions from the crowd. While Jacques demonstrated the down and forward motion for cutting, Claudine explained that when you stain your cutting board while chopping fresh herbs, it is only because your technique is flawed. 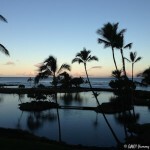 Down and forward, not up and down. Showing us how to peel the lower stem of the asparagus to remove tough portion and waste less when snapping the bottom off – however he noted that this could become tedious if cooking for really large crowds. 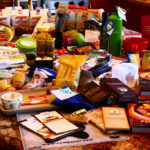 He also noted how dramatically the availability of food in markets has changed since he first came to the US – so much more variety in local and large chain markets. Deboning a chicken, stuffing it with fresh vegetables, and putting it back together in a matter of minutes with just a sharp knife. His favorite childhood food memories? Milk straight from a cow when he was 6 years old and the taste of bread and butter. What foods would he not eat? Anything processed. His story of coming to the US in 1959 and meeting the holy trinity of the food world in 1960: James Beard, Craig Claiborne, and Julia Child. 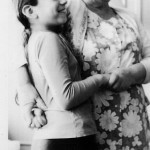 Favorite Julia Child story? Taping shows in her home kitchen and her unexpected requests – to drink beer when there was a winery in the house; to use Crisco to make crust when there was a butter maker in the house. What celebrity would you want to cook for and what would you cook? I most prefer to cook for my family and friends and like to cook what my guests most enjoy, not what I most prefer. Jacques Pépin makes you believe that 80 is the new 50. He is as dexterous as a young chef and as sharp as his knife. 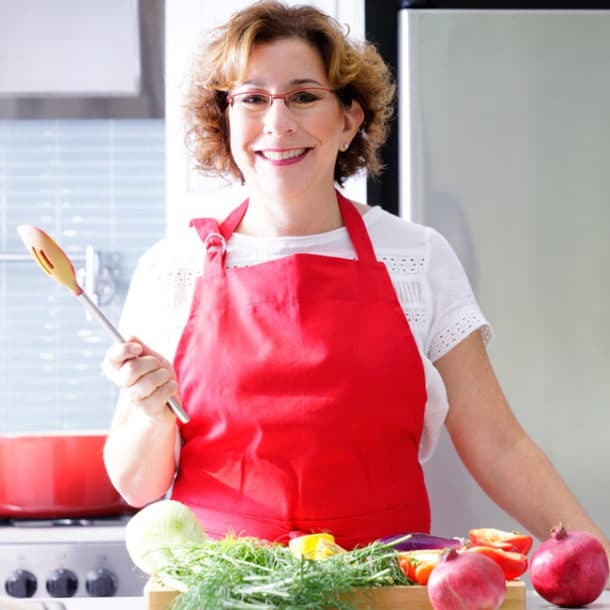 Claudine is a perfect foil for his wit and charm and unabashedly shares her real life kitchen stories so we mere kitchen mortals can imagine what it might be like to cook with the master ourselves. 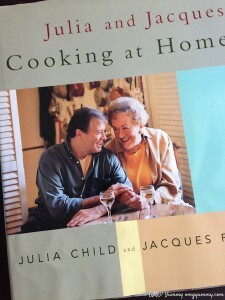 Do you have a favorite Jacques Pépin or Julia Child memory or recipe? I love Jacques! How fortunate for you to be able to attend this lecture. I still watch his shows, and love his books. He really doesn’t act his age and is still very inspiring to watch and listen to! Still watch Jacques whenever I can. Would love to have half his skill. I’d be happy with a quarter of it! What a fantastic event! The presentation sounds so inspiring! 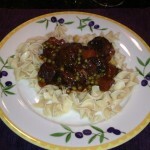 I remember watching Julia on PBS and recall that she made cooking seem so easy. She always had so much much fun and was full of joy! Yes I have many memories of watching Julia on PBS as a kid – I always loved the end when she went to the dining room table, poured the wine, and said “Bon Appetit” !